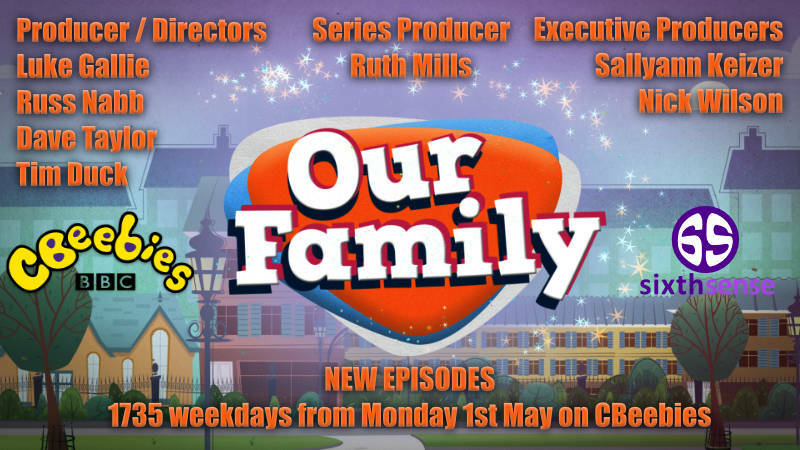 ALL NEW episodes of Our Family begin on Monday 1st May at the NEW TIME of 1735 on the CBeebies Channel and have we got a treat in store! They’ll be four new fun families to meet over two weeks, ready to share their everyday adventures with the CBeebies audience. If you’ve missed any of the latest series, then you can catch up with them on the BBC iPlayer along with some of the classic episodes from Series 1 and 2. And if you’re looking for something to do with your little ones, why not get them to draw a picture of their family and upload it to the CBeebies website. Series 4 of Our Family is due to be shown later this year.